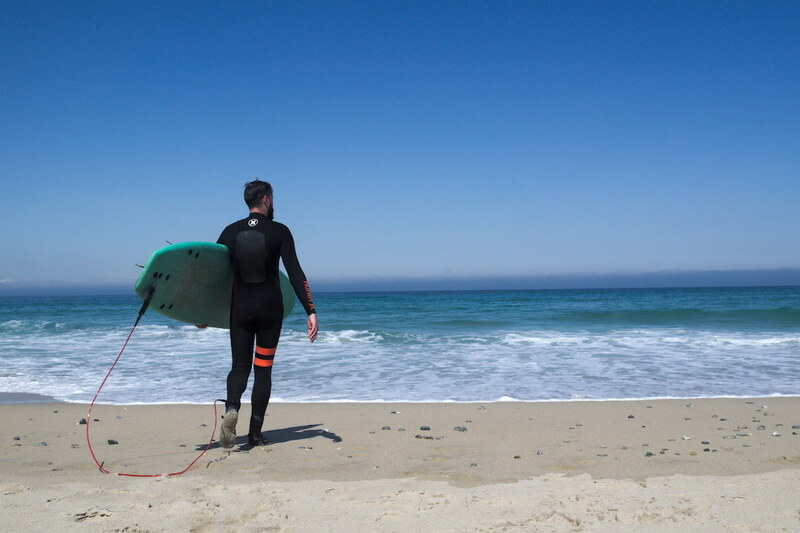 When planning this surf trip I wanted to experience the most of the Galician diversity. The more surf spots, the better. In the south of the region I found the town of Patos. 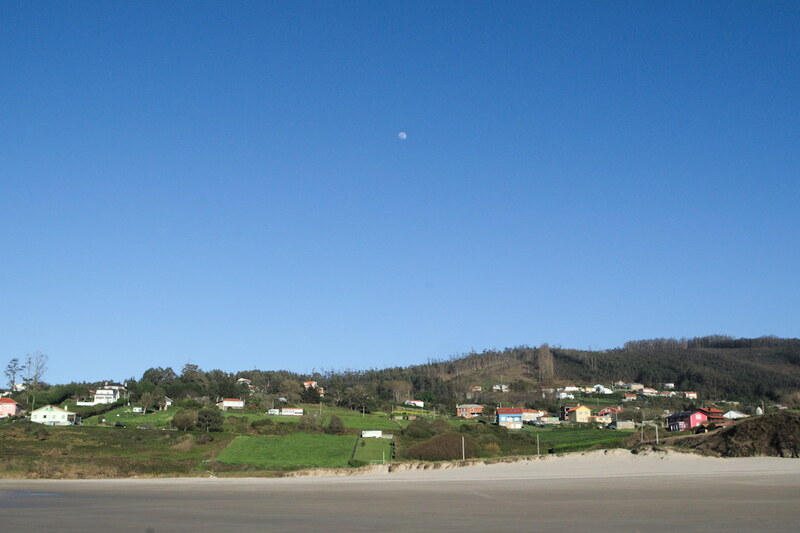 You can read about this spot, the southern part of Galicia and what to expect there in this post. 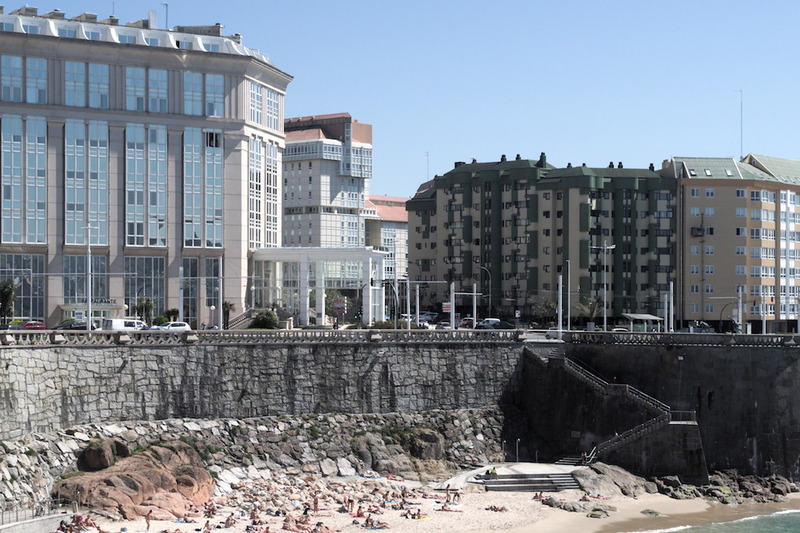 In the northern part of the region my choice was A Coruna – the largest city in this part of the coast. 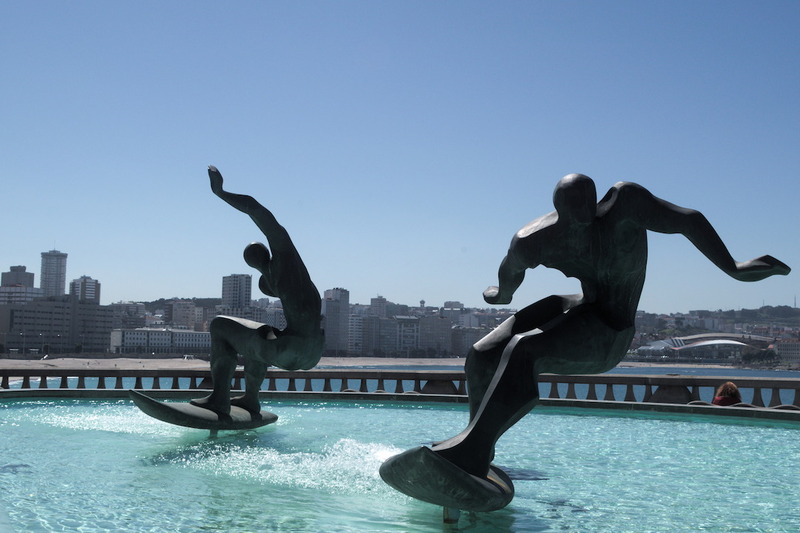 Even though there is no surfer-friendly beach in the city itself, A Coruna was a strategic location because of the spots I wanted to visit. 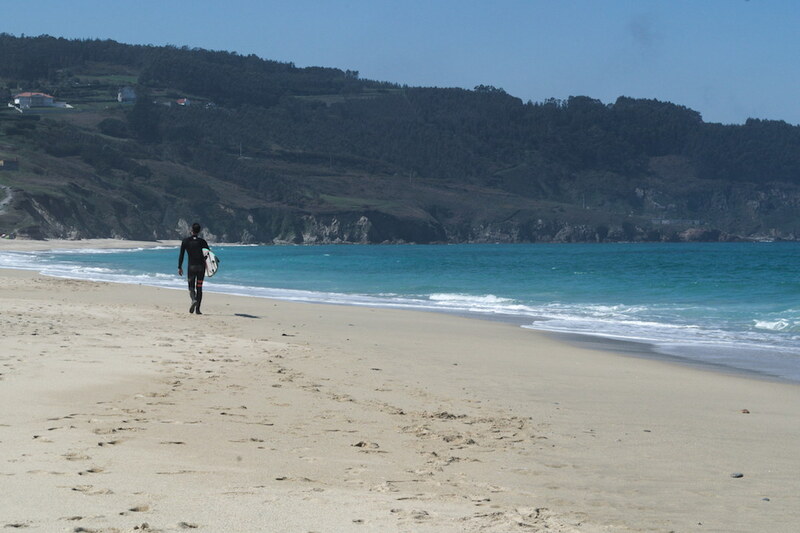 Playa de Bastiagueiro is a beach break in the A Coruna area, about 10 km southeast from the city center. The beach is quite small and sheltered from both sides. 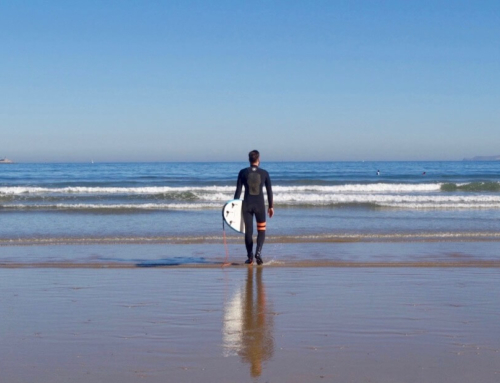 According to the surfing guides, you can expect quite good waves there, especially in the winter months. The best swell comes from the Northwest. It is said to be crowded there, which is not surprising considering the proximity to the city. I managed to avoid crowds. 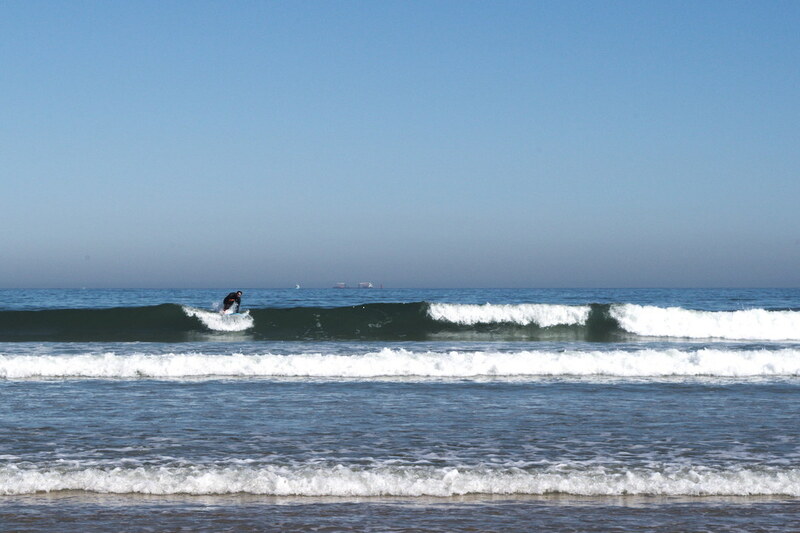 During my April session there were just a few surfers in the water, who easily shared a place in the line-up. 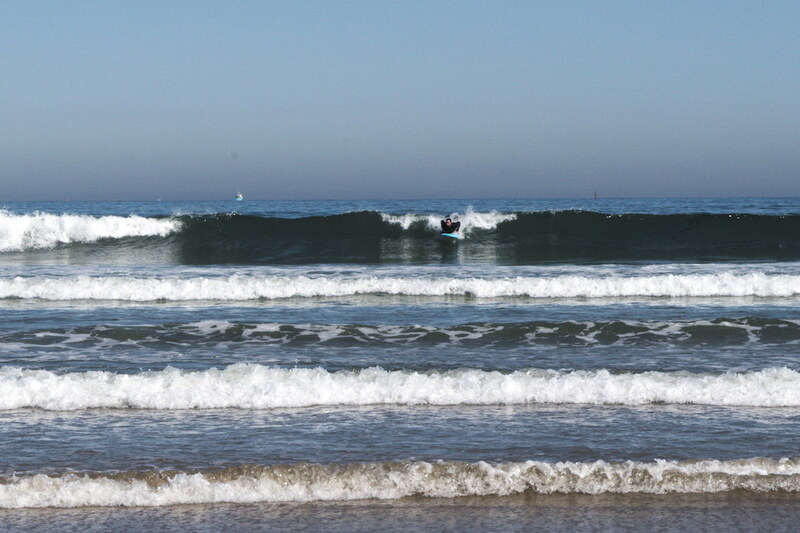 The wave size was perfect for beginners and intermediate surfers (about 1 m high). A great advantage of this spot is the proximity of the Prado Surf School (up on the hill, on the main street intersecting the town) and the team that works in the school (good English). The road to the beach runs through a picturesque park where you can park your car (free of charge). 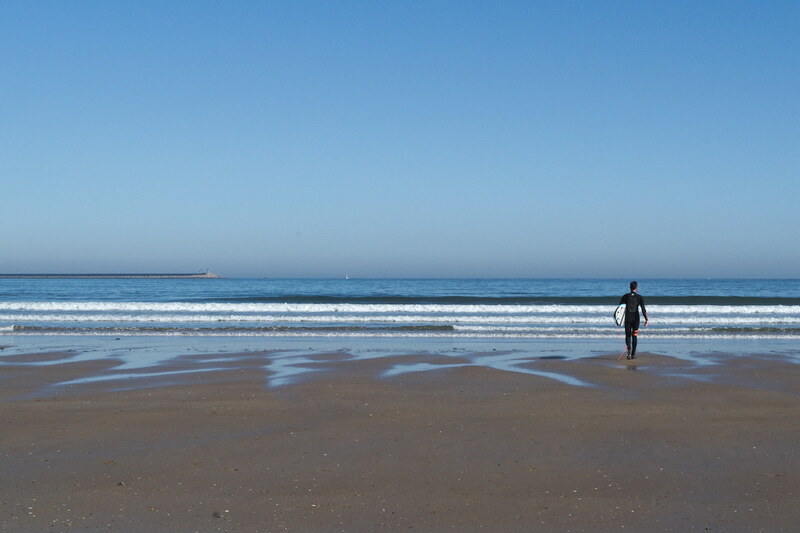 70 km northeast of A Coruna lies Pantin – the spot I wanted to see the most during this trip. This open break “works” practically all year long. 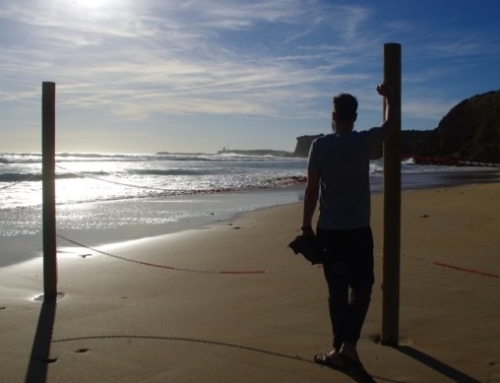 The best conditions are provided by groundswell from the Northwest. For the perfect conditions a southeastern wind is needed. The waves break both left and right. During our visit the conditions weren’t perfect and the only place that provided good waves was the rocky area on the right side of the beach. 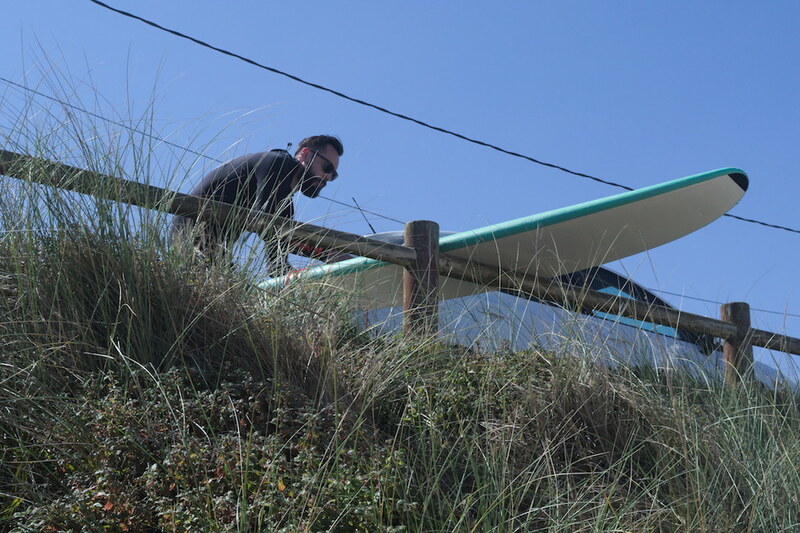 It’s a demanding take-off zone, because to get to the position you had to paddle a good few hundred (200-300) meters in the water much colder than in the intimate Bastiagueiro. The beach itself is amazing. It’s wide and surrounded by picturesque hills. The infrastructure around it is well prepared for surfers who have dropped by for a quick session or plan to spend a few days on the spot. 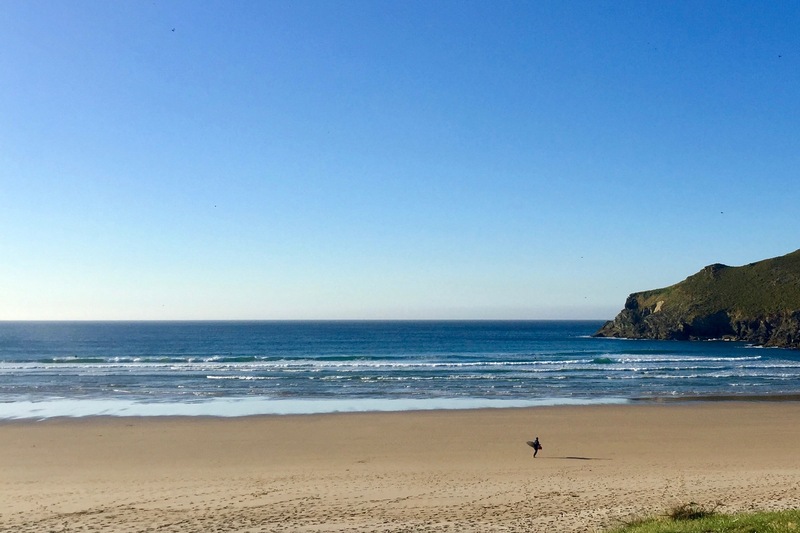 Under such conditions and such location, it’s not surprising that the World Surf League organize the Pantin Classic Galicia Pro there as part of the Qualifying Series. The event is held in late August and September. The last spot we visited in A Coruna was Razo. This home of very consistent A-frame waves lies 40 km west from the city. 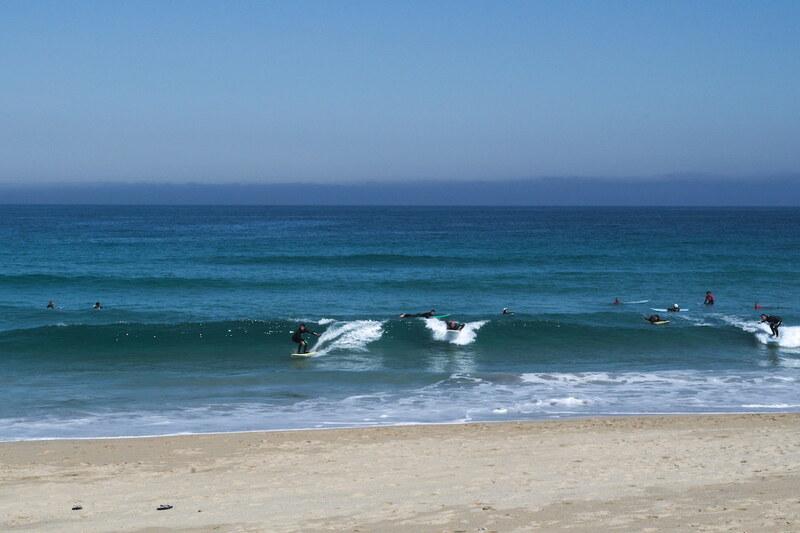 Razo is a huge, wide beach with many diverse sandbanks that match the different levels of surfers. This spot and its surroundings make a big impression, especially when looking at its infinity from a slightly elevated parking lot. 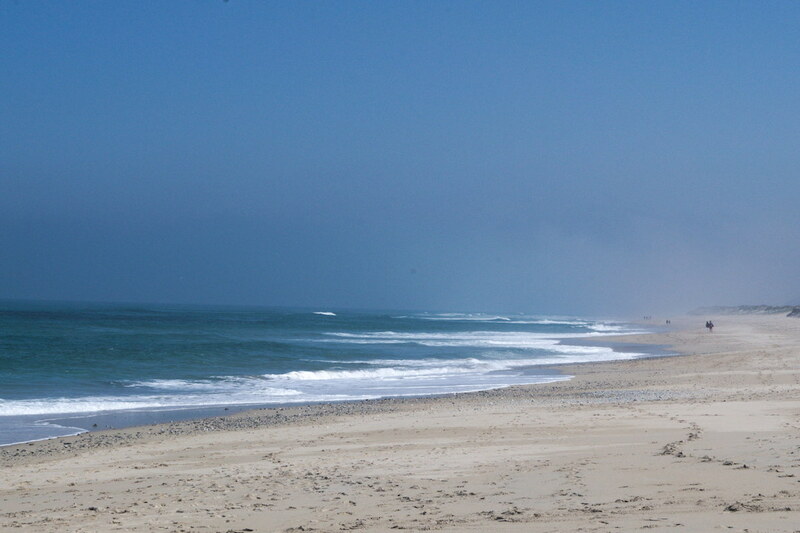 The spot provides waves even during a small swell and even during Summer. 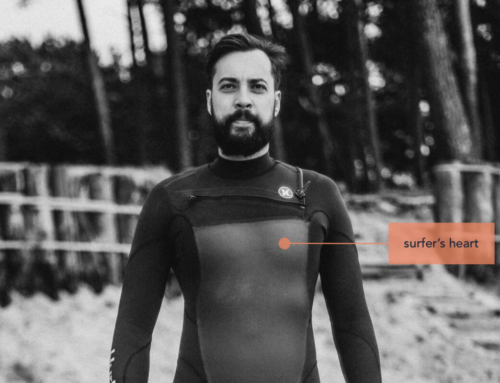 This results in a couple of local surf schools and camps (ArtSurfCamp or RazSurfCamp). I must admit that the training and retreat complexes of both schools are the largest objects of this type in the industry I’ve seen so far. Thanks to the vastness of the beach, it’s hard to pile on the line-up. What hit me (literally) is much bigger, compared to other spots in Galicia, power of the local waves. With an 8-foot, high volume board under my feet, I had the impression of a wall of water hitting on me just to knock me down and swirl until I gave up another attempt to surf it. I left the water beaten down, but it was worth it. For a solid and tasty lunch visit La Pepita. For lazy sunbathing go to an intimate beach next to Fuente de Los Surfistas. For shopping explore Scalpers in Merineda City. Finally, to cleanse from the sins of gluttony and vanity, drive for an expedition of Cape Fisterra (100 km southwest of the city). This place was recognized by medieval Europeans as a symbolic end of the world and is also the finish of the famous St. Jacob’s road for pilgrims. Quick question, you were there in April right? What thickness wetsuit did you need? Hi Andy, I was using 3/2 with 5 mm boots and it was enough. Take care!